Should Low Oil Prices Impact Your Operational Strategy? | Fulcrum ConsultingWorks Inc.
Should Low Oil Prices Impact Your Operational Strategy? It depends. Does your current operational strategy have triggers for major changes in key cost drivers? Rebecca explains in today’s podcast. 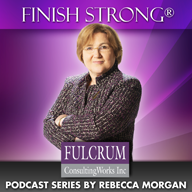 This entry was posted in Podcast Series: Finish Strong® and tagged operational strategy by Becky. Bookmark the permalink.